Researching and reading about canine behavior and training is a great way to expand the way you look at your furry little friend. But let's face it, between hundreds books, the internet, and that one lady who brings her eight dogs to the dog park, there is a LOT of circulating -- often times conflicting -- information out there. The hardest part in beginning your quest for canine comprehension is knowing where to look and what information to trust. 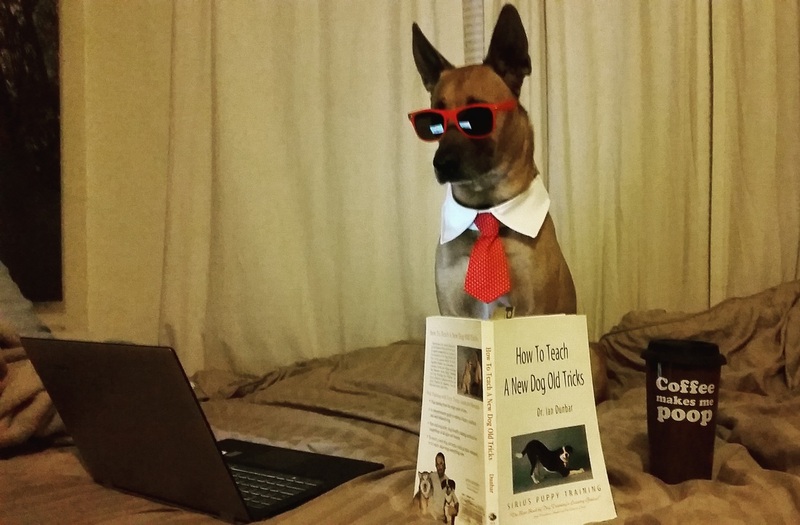 To help guide you in this process, below are a list of books, reading materials, and sources we endorse that will help you with your independent doggie research. TEDx: The First 20 Hours: Many of us have heard of, and been demotivated by, the adage, "it takes 10,000 hours to become an expert in [blank]." In this inspiring TEDx talk, Josh Kaufman offers an alternative perspective: it only takes 20 hours of focused, deliberate practice to become good at [blank]. Kaufman's research indicates that if you want to acquire a new skill it is best to first deconstruct the skill and start learning the essential parts first. You will then quickly learn enough to start "self correcting," thereby adding an additional layer of knowledge as you continue to learn. This method of learning is the foundation of Break It Down dog training. DogStar Daily: Dr. Ian Dunbar is one of the leading canine behaviorists in the world and he is offering up information online FOR FREE! Ever heard of "lure-reward training?" Ever been to a puppy class or dog park? You can thank Dr. Dunbar for that. Seriously, check out his website. Now. Good human. SPARCS (The Society for the Promotion of Applied Research in Canine Science): Founded by Prescott Breeden, this unique initiative brings together the top minds in canine research with their annual SPARCS conference. People from all over the world tune into the free live stream of the conference to see what the latest research is saying about our four-pawed buddies. If you are a dedicated dog owner, dog enthusiast, or fellow dog-trainer, please check this out. Bite Inhibition: one of the most important pieces of information a puppy owner should know, yet no one really knows about it. Read up! Dog Proofing Your Home: whether you are bringing home a new puppy, or already have a dog who likes to get into things s/he shouldn't, this article is a great guide in home to manage your home environment to help eliminate "naughty" behaviors.